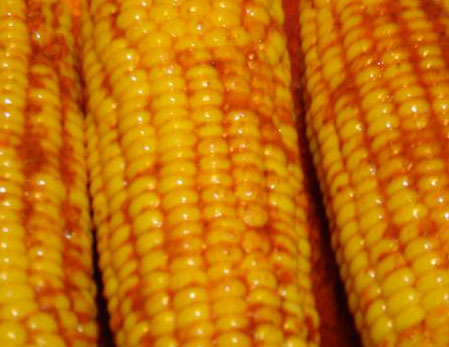 Shuck corn. In a small bowl, combine softened butter, chili powder and Mac Yourself™ cheddar cheese powder. Spread butter on corn and wrap each ear individually in foil. Place on grill and close lid or place in oven. Cook 25 - 30 minutes, turning every 5 minutes, or until corn is tender. Remove foil and serve.